So much fun this week! From local performances to hikes to campouts, grab the kids and have some fun! Join the cast of Spotlight Kids and rock to the songs of the classic 60's musical. This Young Performers Edition is perfect for the kiddos. 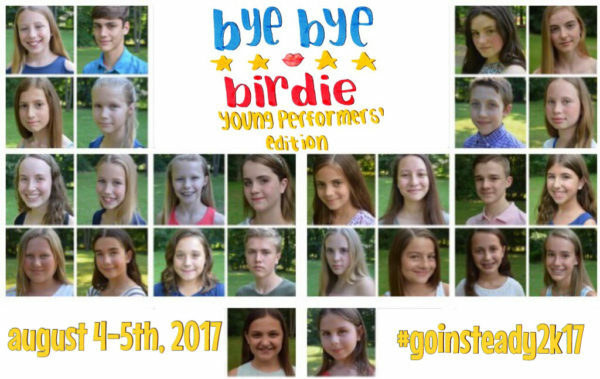 With such memorable songs as "Put on a Happy Face" and "Bye Bye Birdie", your whole family will enjoy this blast from the past. Email skctix@gmail.com to make reservations. “The Enchanted Thornbush,” is a brand new, original musical devised by students aged eight through thirteen that are part of Writers Theatre’s Madison Summer Youth Theatre program. For reservations & information visit www.wtnj.org or by calling 973-514-1787, extension 31. Sunrise Lake Beach Club in Lewis Morris County Park, 270 Mendham Road, Morris Township. Start your evening with swimming, boating, and fun. Then, enjoy a campfire under the stars, storytelling, and s’mores at this overnight event. Breakfast, provided by Whole Foods Market, is served beachside. Hike through history as we relive the formation of the Northern Highlands, and discover the local geology of Pyramid Mountain. Come enjoy this free showing of the beloved sequel to Finding Nemo.